Ooh yum. 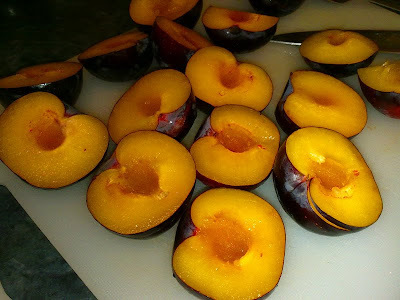 Though I do love them in their natural state, plums are one of the few fruits that taste even better when cooked. dont forget to leave me some! Yummo, I love plums and Nada Surf! Believe it or not, I have never, ever had plum pie though - I've only eaten them raw!